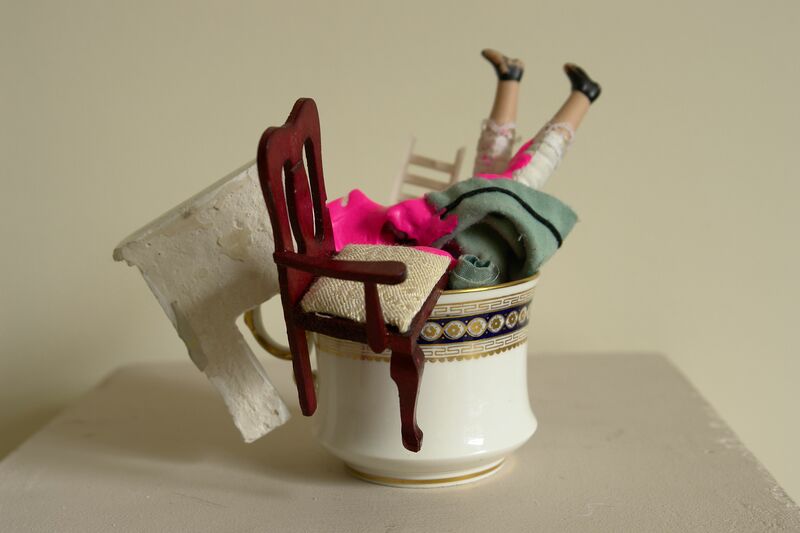 Dollhouse furniture, dolls, acrylic paint and porcelain. Ready-mades. Small scale.